﻿ The hotel - Boutique hotel in the center of Rome, the Dopodomani Suite is a luxury guest house, with few elegant, spacious and tastefully furnished rooms, located between Piazza di Spagna and Via del Corso. 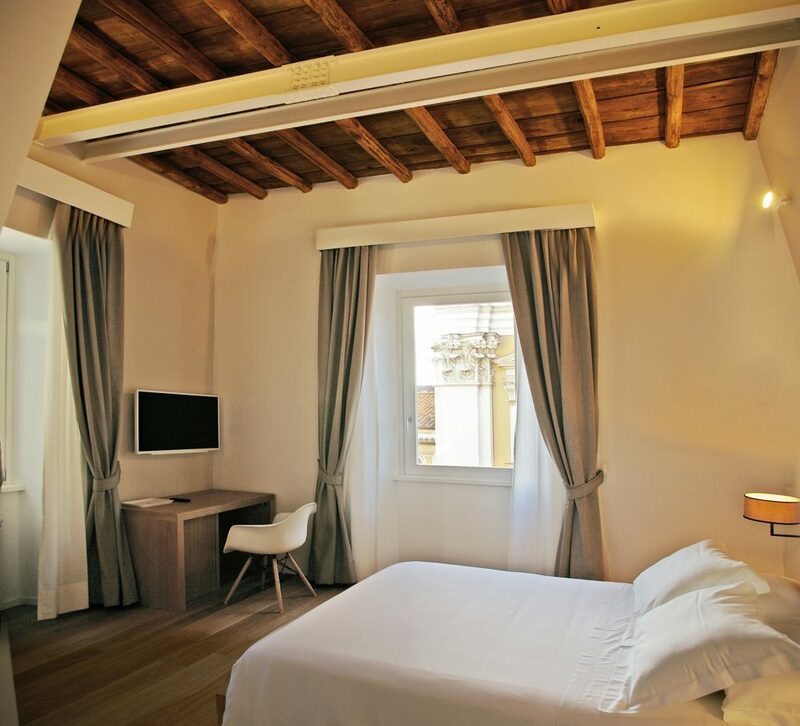 Dopodomani Suite is a beautiful boutique hotel located in the heart of Rome, on the top floor of a building overlooking Via del Corso. The property was fully renovated in 2016 in order to ensure guests maximum comfort. The five rooms are soundproof, equipped with private bathroom, wi-fi and Sky connection. The rooms are bright and spacious, with panoramic views of the city. Via delle Carrozze is located in the center of the “Trident” of ancient Rome: 50 meters from Piazza di Spagna, with stairway, Trinita dei Monti and the Barcaccia, while strolling in via del Corso just down the street. Many areas of the historical center are within walking distance but the Metro Line A, Spagna, is 200 meters from the hotel’s door.